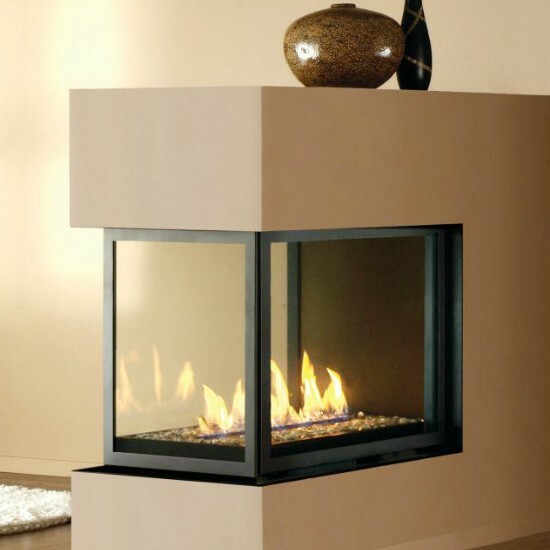 Inner Vent Size: 5", Outer Vent Size: 8"
The H-Series Peninsula Multi-Sided Fireplace is a modern Fireplace from the Montigo H-Series. 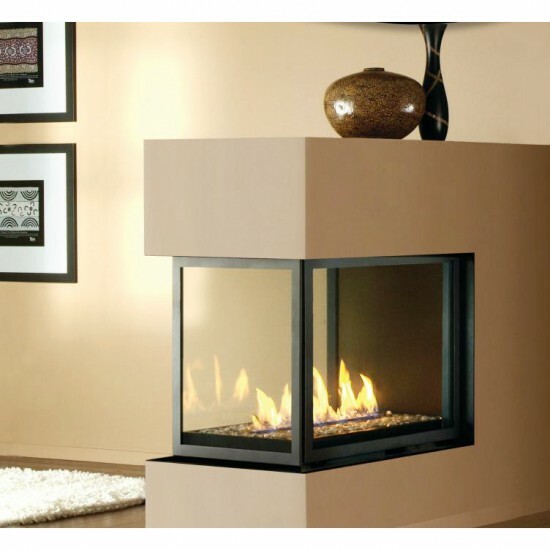 With a contemporary vertical design, this unit will greatly enhance our home decor. 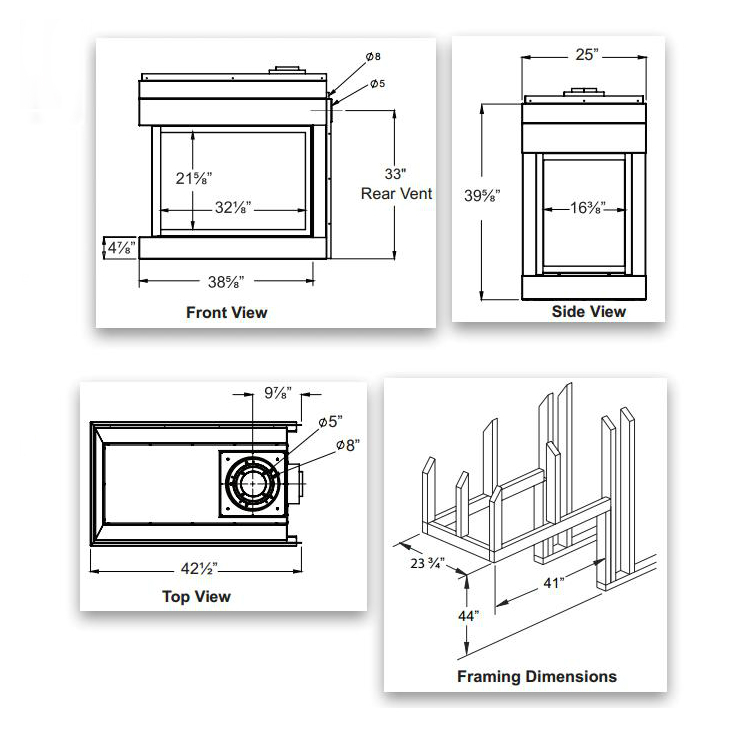 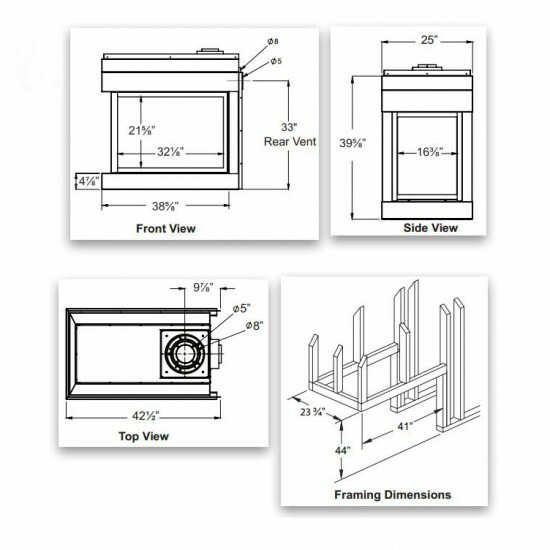 This 38" unit is available with a pyramid burner logset (model # HP38DF-PFC) or linear Contemporary burner and glass media (model # HL38DF-PFC.